Call 0458 005 008 or Book on Line!! Migratory birds here through April - come see. # Cruise from Pelican Waters $30 - departs 40 minutes earlier than Tripcony Lane. Online gift vouchers? - a Sunset Cruise for two, - or really treat Mum & Dad with our Eco Explorer, - cruise into the Marine Park with morning tea at anchor! Brochures can be located at all accommodation outlets, tourist information centres or download from website. Sunset Cruises will generally be offered on Fridays & Saturdays. (Some may be booked out with private functions) Call or check online for availabilities. Smoothwater Classic departing from Tripcony Lane or Pelican Waters, includes the return trip. Why not purchase a couple of Sunset Cruise Gift Cards? - just $50 for two. or choose one of our other cruise options. Click on our Timetable for "when, where and how much". Take one of our popular 90 minute Smoothwater Classic cruises (Sunday & Tuesday to Friday) and discover this waterway’s rich sea faring history and marvel at the superb scenery of the Pumicestone Passage. See our Timetable Map & Fares page to plan your day – take the early cruise or one of the departures that connects for a relaxing stop at Pelican Waters Tavern to enjoy lunch. Note: Wheelchair Access at Pelican Waters Tavern Jetty. The Eco Explorer cruise on a Thursday takes you deep into the heart of this internationally significant region, home to over 300 bird species and our Eco Explorer cruise for School Excursions can be tailored to your curriculum. Our comfortable 1930s style double decked river boat is just perfect for Seniors and Bus Groups. Join us on a day of your choice to enjoy great group discounts. Are you the Event Organizer for your Social Club? Cruises at sunset will never disappoint and it's a great venue for Private Functions . Also suitable for special birthdays and parties. Weddings on the water are especially beautiful. Our experienced team can help you create a day to remember. Not quite there yet? Hens Parties are lots of fun on the water. 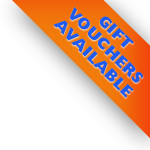 Gift Vouchers available for all cruises and more - Simple - just book a gift card online - or give us a call.